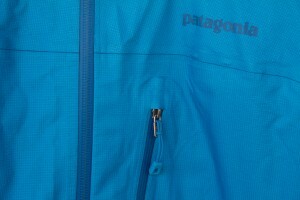 The Patagonia M10 jacket is their lightest waterproof/breathable hardshell. My production version of the jacket, in size Medium, weighs in at just under 8 ounces (221g) and packs down into its own pocket making it about the size of a softball. While the M10 is mainly marketed as a streamlined alpine climbing jacket, I think the light weight and versatility of the piece should make it popular for a variety of uses. With such a small and light shell, it is easy to justify bringing it along on a rock climb clipped to your harness, or to pair it with a less weather resistant softshell—keeping the M10 in the bottom of the pack for when conditions really turn nasty. The M10 cuts jacket features down to a minimal set. There is a full length zipper, Napoleon pocket on the chest, a hood-volume adjuster, velcro wrist straps and some hem adjustments. That’s it. In practice, this is all I want from a hardshell that I climb in. Features like hand warmer pockets, powder skirts, iPod pockets, heavier and more durable shell material, etc are great for other applications, but that’s not why you buy an M10. The M10 uses a lightweight 15-denier ripstop fabric, which has Patagonia’s proprietary waterproof breathable H2N0 membrane bonded to it. What are proprietary membranes? How do they compare to GoreTex in practical use? 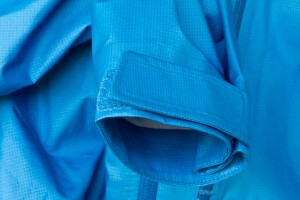 If you’re interested in the deep dive on these topics, I’d suggest reading Blister Gear Review’s excellent series on the subject: Outerwear 101 (http://blistergearreview.com/features/outerwear-101) and Outerwear 201 (http://blistergearreview.com/recommended/outerwear-201-marketing-wars-new-technologies-paradigm-shifts). What follows is that H2N0 is likely a simple Polyurethane (PU) waterproof breathable (W/B) layer with a good DWR on top. 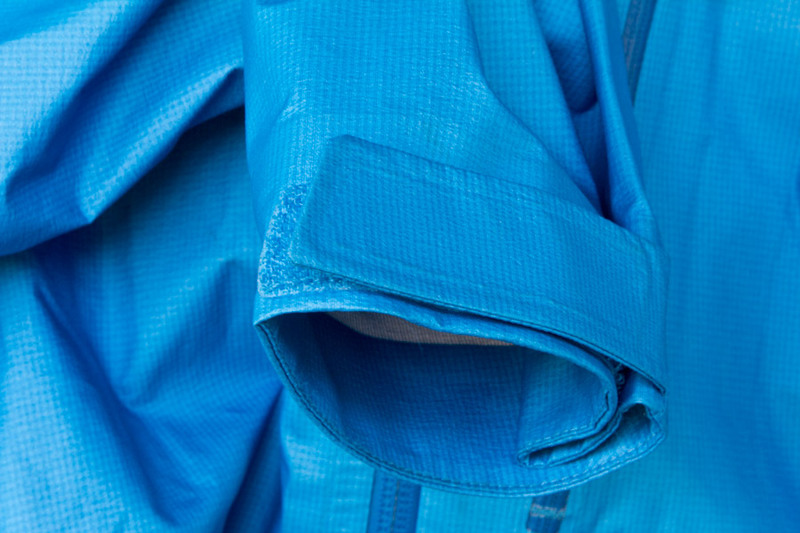 What that means in practice is that, like any waterproof breathable jacket, your breathability depends upon your DWR staying effective (soaked face fabric doesn’t breath well) and your jacket will remain waterproof as long as the seams are solid and the membrane isn’t fouled by grease, sunscreen and the like. As for relative measures of breathability? My impression was that I didn’t notice any significant difference in breathability with the M10 compared to a standard GoreTex offering like ProShell. One instance of my testing was climbing up a 1000m ice gully in the sun, but in sub-freezing temperatures with an R1 hoody and the M10 on top. 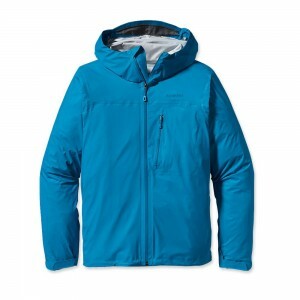 The jacket cut a good balance between spindrift protection and breathability in this situation. What’s cool about the M10 is that they’ve put this simple, tried and true PU technology with a great DWR into a lightweight alpine climbing oriented jacket. The result is that the M10 is less expensive to create, but still very effective. The only downside to this equation is that the light weight fabric is going to be less resistant to puncture and small tears than a heavier jacket. That said, I’ve been impressed with how it has held up thus far. 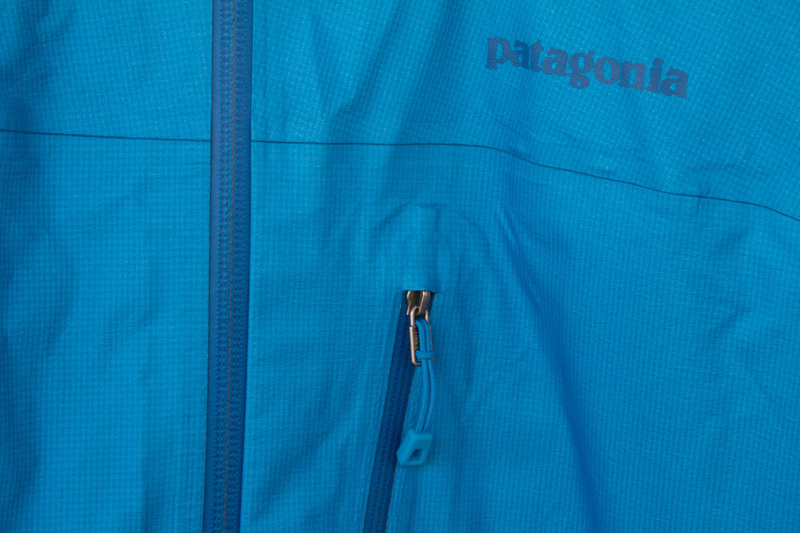 The sleeve length and hood on the M10 fit really well on my frame (I generally wear a medium in Patagonia’s tops). The sleeves don’t bunch excessively, nor are they too short when holding my arms over my head. The body seems to be cut really wide, allowing for many layers to fit underneath, but can feel a bit baggy at times. It is possible to fit both a lighter belay jacket and a thick down jacket under the shell, which can be handy if you’re climbing in a very wet but cold environment. Are looking for a very light and minimalist waterproof/breathable shell jacket that will give you a solid 2-3 seasons of great performance before wear starts to degrade its effectiveness? If so, then the M10 seems like a good fit. 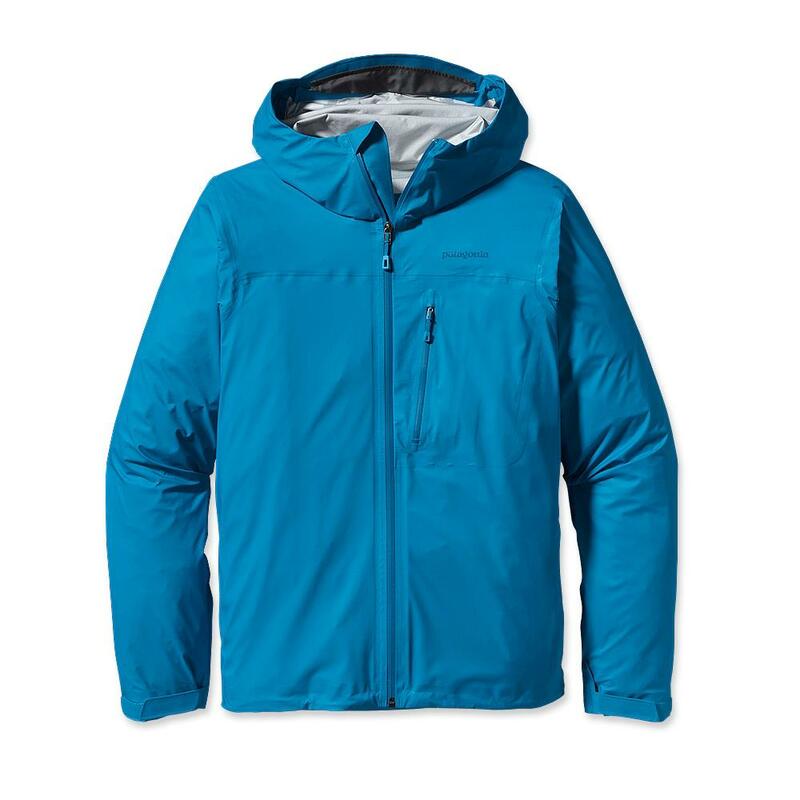 Are you looking for a hearty shell jacket to use for constant rain storms, heavy ski use, and last you until the color goes out of style? Might be better to look at some of the heartier/heavier shell offerings.